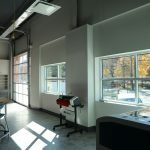 The Ives Architecture Studio was really excited at getting to partner with the Torah Academy of Bergen County to design and develop a cutting edge laboratory for their new STEM program. 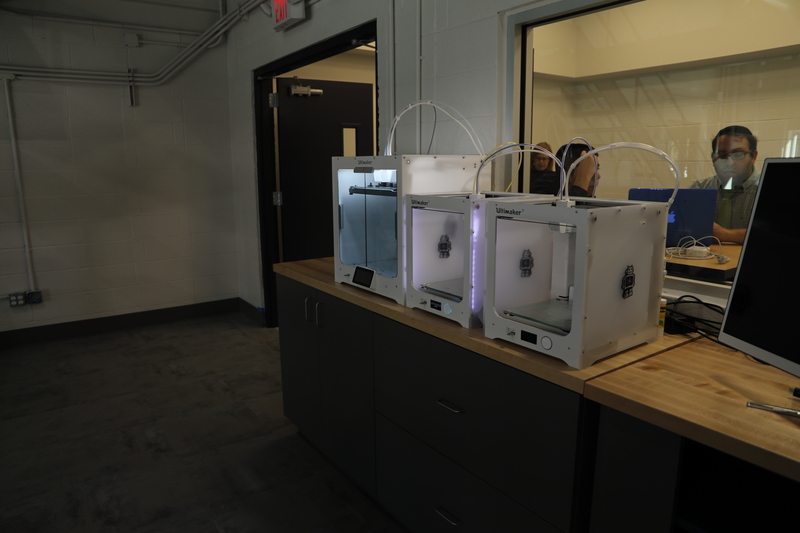 STEM seeks to develop a curriculum for students to explore and innovate in Science, Technology, Engineering, and Mathematics. 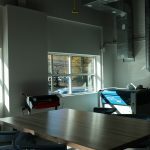 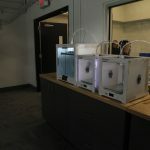 The Academy has been settled in their current facility, a converted factory and warehouse, for a few years and determined that there adequate space could be altered to satisfy the demand for such a popular program. 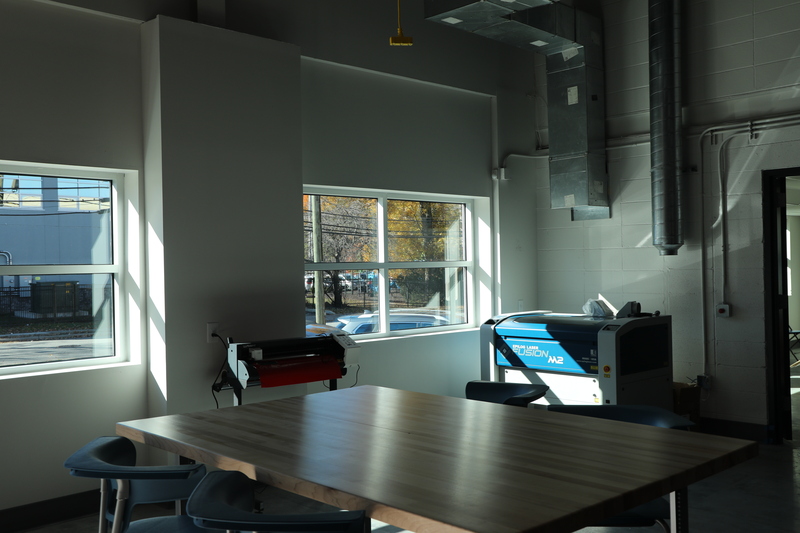 Our TIAS team of designers were able to extend an existing hallway from the gym, to connect to the student lounge, while these spaces were renovated with new lighting and finishes. 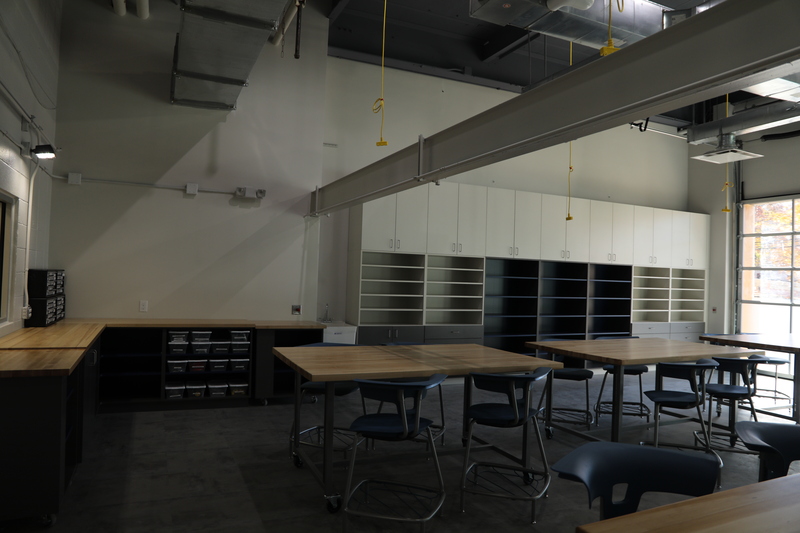 The adjacent underutilized double height seating area space was converted to be the new lab area. 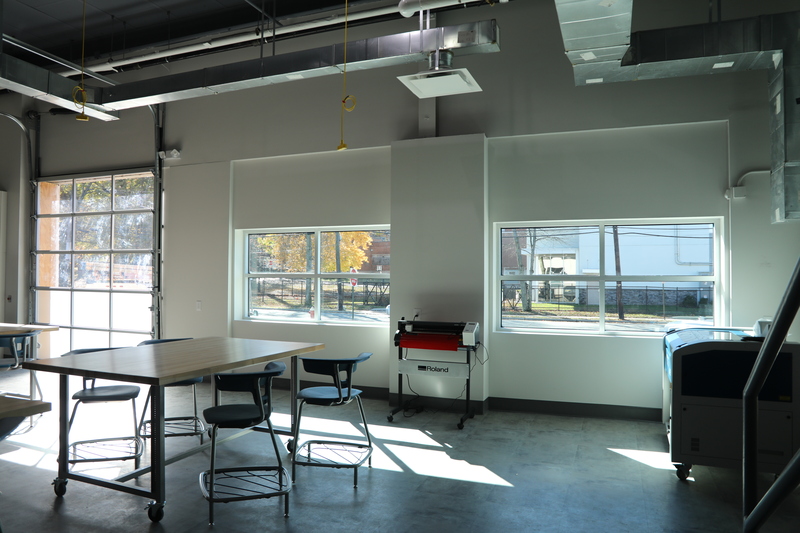 With the addition of new windows, and an innovative transparent overhead door, new flooring and lighting –the space is flooded with light and creates an exciting learning environment. 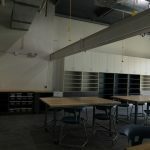 Crucial to the design was the design team’s ability to weave in a connecting stairway to the other part of the school, which had been previously cut off in the normal circulation of the student body. 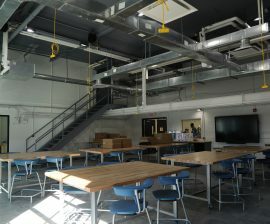 The new stair allows for the students to negotiate their time and easier access to parts of the school. 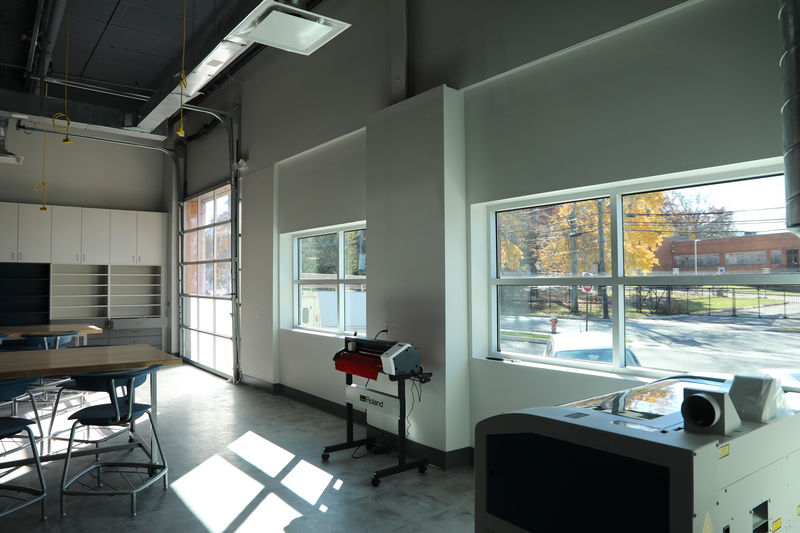 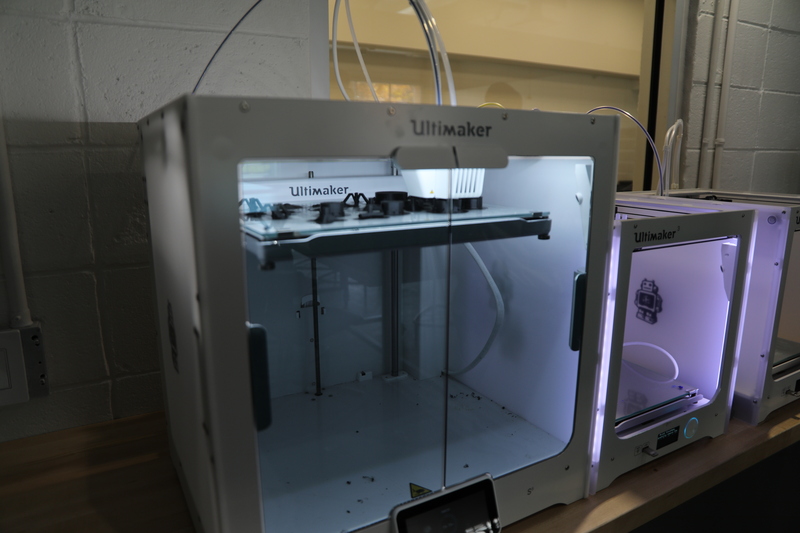 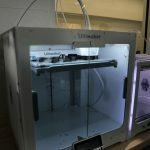 In addition, TIAS designed new plumbing and ventilation for the array of laser cutters, 3-d printers, traditional woodworking tools necessary for a successful STEM program. 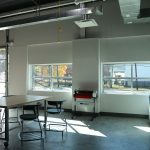 The Ives Architecture Studio (TIAS), based in Fair Lawn, NJ, has over 30 years experience in the disciplines of architecture, interior design & planning.